This weekend was a big one for the bridal industry! 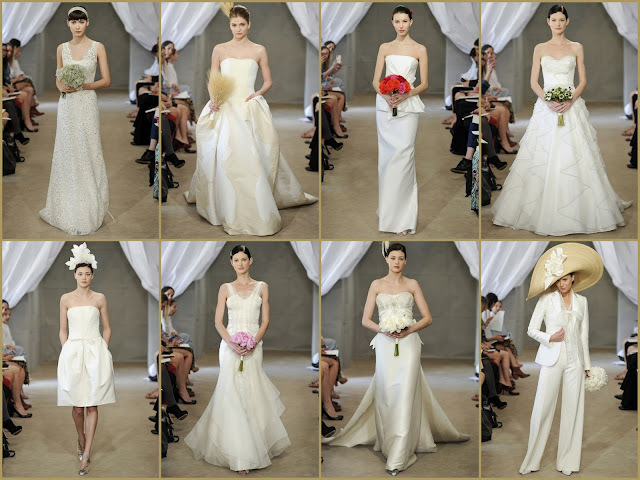 Bridal Market Week got off to a great start as designers revealed their collections for Spring 2013. Here's a look at some of the gorgeous gowns and other styling from one of our favorites, Carolina Herrera. We love her mixture of traditional and modern and her acute attention to detail! Plus, notice some of these gowns have pockets - a true sign she's designing for a practical and modern woman.